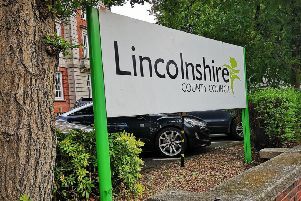 Lincolnshire County Council has welcomed the Government’s decision to boost funding for social care by £240million nationally. Senior councillors and directors at Lincolnshire County Council say that more needs to be done to sustain services. Councillor Patricia Bradwell, executive member for adult care, said: “Whilst this additional funding is very welcome along with the recognition more money for adult social care is necessary, this is a temporary measure for social care. Glen Garrod, executive director for adult care and community health and wellbeing at LCC said: “For us in Lincolnshire this will mean an additional and much needed £3.3m to balance the extra funding for winter announced for the NHS last month. “LCC attaches great importance to ensuring people can leave hospital as soon as is safe. Melanie Weatherley, Chair of Lincolnshire Care Association, added: “We are looking forward to working with our colleagues at LCC to help people leave hospital as soon as they are ready.